We all know PCs as those ubiquitous devices that first invaded the workplace and then our homes. They still dominate offices today. Tablets like the best-selling iPad from Apple feel more additive to the computer environment, and they have found a strong niche as a coffee-table or leisure time device. 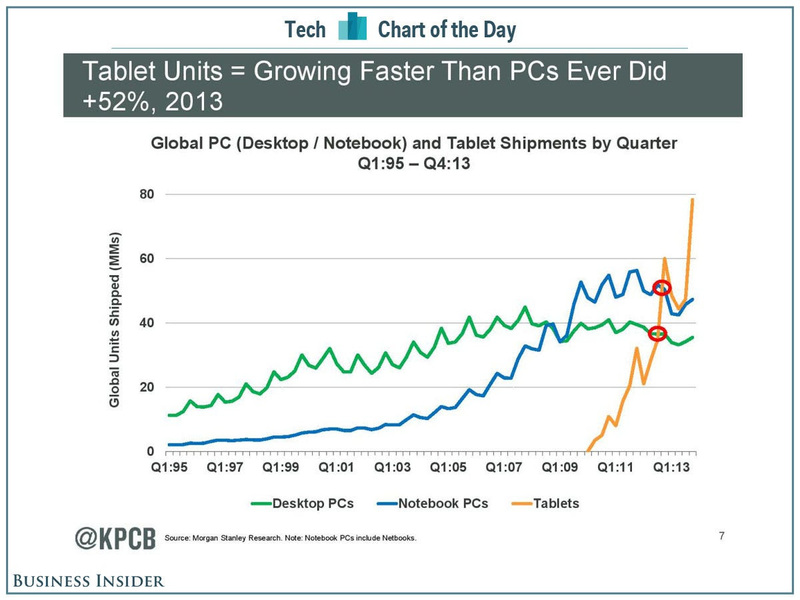 But this chart from Kleiner Perkins partner Mary Meeker argues that tablets have already, by one measure, surpassed the sales numbers of both PCs and laptop-style notebook computers. More tablet units are shipped per quarter and sales growth for tablets is sharper than it ever was for PCs or laptops. Back in the prehistoric era — 2008 — Microsoft's Internet Explorer browser roamed the web like a diplodocus, eating everything in its path. As many as 90% of users saw the internet via Explorer. Today, Explorer can't even command a simple majority of users. 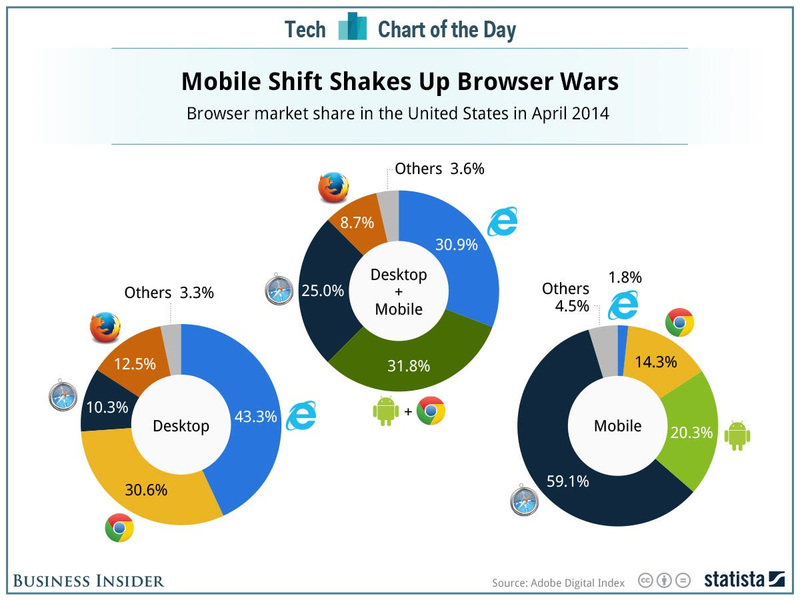 Google's Chrome browser is now the most popular web viewer, with 31.8% of the market. On mobile devices, probably the most important arena for browsers right now due to its growth, Explorer barely exists: only 1.8% of users see the mobile web via Explorer. Explorer appears to be trapped on desktop, where it still holds a plurality, 43.3% to Chrome's 30.6%. Our data came from Adobe. Chart via Statista. The challenge is for the traditional players to figure out how to adapt.